Typical Tow rig set ups. 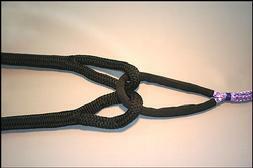 Nylon Bridle: First, we have two legs of New England Rope's Premium Nylon for shock absorption. These lines use the highest grade marine nylon available, combining easy handling, flexibility, strength, good looks and long wear. The nylon is treated with unique water repellent coating for greater wet strength and improved abrasion resistance, even when wet. Plasma Hawser: Next, we use Puget Sound's Plasma Rope 12-strand for the tow hawser. Plasma 12-strand is the highest strength synthetic rope available. Plasma Rope is manufactured from Honeywell Spectra Fiber that has been enhanced by Puget Sound Rope's patented re-crystallization process. Strengths are over 50% higher and creep is significantly less than that of standard Spectra 12-strand. This rope can be easily stowed, handles effortlessly and floats! 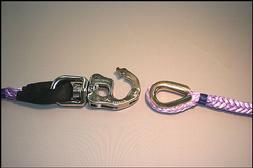 Snap/ Bow Shackles: Our tow rigs use two of the most respected stainless hardware manufacturers: Wichard and Tylaska. We use Tylaska snap shackles to link the hawser to the pennant. Tylaska snap shackles provide the ultimate in strength, performance, and durability. The patented mathematical curvature of the release mechanism allows Tylaska shackles to be easily opened even under tremendous loads. 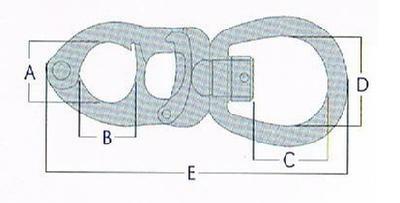 Wichard's high-resistance bow shackle, built for high load values, is used to attach the pennant to the towing eye of the tender. Pennant: We also include a nylon-covered Plasma pennant for the bow of your tender to make hawser attachment safe and easy. 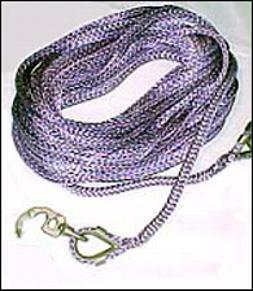 Tylaska Snap Shackles are the largest trigger-type shackle ever made. They can be opened using a trigger or a lanyard. A lanyard allows for remote operation - ideal for towing applications. The locking pin (T-50 only) provides extra security from accidental release. Our Tow Package is tailored to your specific yacht tender towing rig application. We use only the finest components available from the finest manufacturers in the world. Others may try to copy our tow line but there is nothing better than our towing rigs. You need a towline and towing rig you can count on for the safety of your vessels and crew. Whether you are towing a yacht tender over extended periods at high speeds or just lazy weekend cruising, our towrigs will lay your worries to rest. 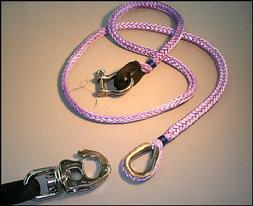 Best of all, we can provide strength certification to your insurance company for the rope and hardware used. Contact us to quote availabilites and pricing for your tow package today! !